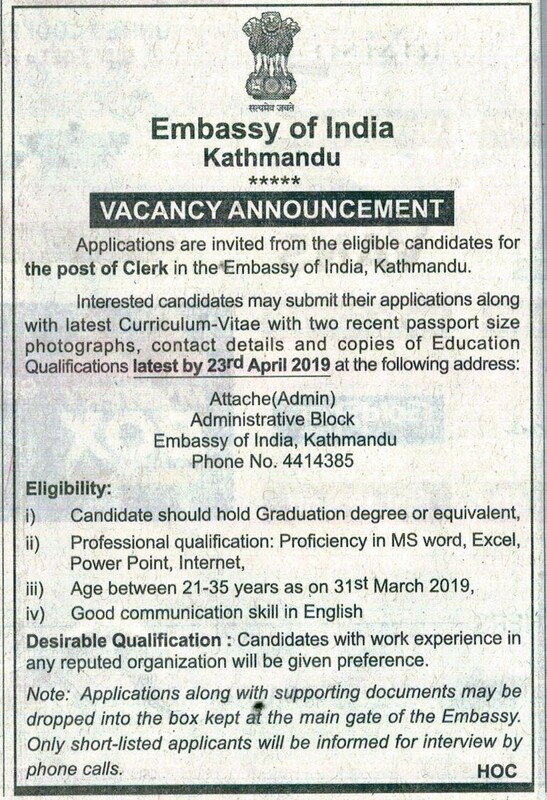 Indian Embassy in Kathmandu is looking for qualified candidates to Join as soon as possible. Note: Application along with supporting documents may be dropped into the box kept at the main gate of Embassy. Only Shortlisted candidates will be informed for the interview by phone calls. Job Categories: Administration and office.